As we all know mixing is hard work and a very skilled activity in the realms of music production. Mixing music successfully (and choosing quality sound sources) relies on accurate monitoring, many problems for the beginner will vanish overnight if what you hear from your speakers is truly representative of the audio you are mixing. This in itself makes life significantly easier. The only trouble is exceptional mixing speakers are rarely cheap and the acoustic treatments required to ensure the in room acoustic is linear is expensive and often impractical. So, is there any other means to help get your mixes sounding better balanced ? I believe so, enter the reference track ! A technique which I have advised many people on is utilizing a reference track and in this entry I am going to help people understand how to best use a reference track at different stages of mixing and also what the limitations of using a reference track are. Why use a reference track and what constitutes a good reference ? 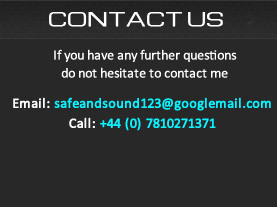 A professional mix engineer has his or her own internal references held within memory from years of working with music. So when the faders go up you can be sure that sonic information bank is open and firing on all cylinders. If you are not a world class mix engineer with 20 years of daily mixing experience you can hone your skills with time and practice and a good reference can help you touch on that mix engineer mentality and sonic memory bank. Typically a good reference to use is one that is within the same genre as the track you are mixing yourself. So I would try and get together a few different options within the genre you are mixing and get them ready. (ideally as a 16bit or above .wav file). Chances are these tracks are not going to sound the same that’s a good thing because it is rarely the goal to make music sound the same. A good reference track or tracks will however help get your tonal balance heading in the right direction. A reference track has already been competently mixed and mastered (we hope ! ) so this will give a good indication of what a commercially successful sound is or an effective sound for your genre. Because the tracks have been professionally mixed and mastered they should translate well across most systems. You can check your references to see if this is true and if they do, great, it is a good reference to use. Ensure you buy your reference tracks for the best fidelity and do not use Youtube etc. The general audio fidelity is atrocious on YT (often un-mastered or intentionally distorted mixes) and we are talking about critical listening here. You may need to consider sample rate converting the file before (or when) importing it into your DAW if it is different than your session sample rate. The reason for selecting a couple of references is because referencing is not about absolutes it is about finding that aperture for good tonal balance and taste. Which is where you want your mix to be, right ? One of the fundamental reasons to use a reference is getting a handle on the amount of bass in your track. Bass levels are one of the areas of greatest difficulty for people mixing without accurate speakers and acoustics. Even the best of mix engineers will struggle to get their usual stellar results on an unfamiliar set of monitors in an untreated room. Of course bass is just one tonal region of a mix and attention should be paid to the mids and highs as well. What a reference does is provide a usable sonic blueprint for you to approach your mixing under less than ideal conditions. I won’t beat around the bush here.. untreated rooms and £250.00 monitors are not ideal conditions however you cut it. A good reference (in the same or similar genre you are producing) will give you an approximate instrumental and tonal guide to follow if/when in doubt. This is very useful. A reference track or 2 in your given genre gives you a ballpark goal. It is very important to understand that the goal is not to make a carbon copy of the reference track or expect to copy the production techniques verbatim. Your track will never be the same as the reference it is a unique musical entity unto itself and what we need to consider is fairly broad frequency bands and instrumental balances rather than specifics. Salient listening points should be: how the vocals sit, how much compression do they have, relative harmony balances, judge stereo spread (width) of the harmonies, snare vs kick level, (kick attack vs sub level) bass line vs kick level, overall bass level, mid range presence and the perceived brightness of the top end. We need complicate it no further and we shall move into how to effectively use the reference in context of your DAW mixing session or project. Bear in mind that the limiting on a mastered track will quite possibly be part of the sound character and of course at mix stage you should not really be using a limiter*. (more on than later) A limiter will increase the perceived density of a mix by reducing dynamic range and reducing the “peak to average” ratio of the mix and it’s sources. Try not to get bogged down with copying the density and thickness/pressure of the reference and concentrate on the tone and balances. Such as… Are the high hats or cymbals too splashy ? Too much sibilance in the lead vox ? Is there enough bass weight in the kick ? Is the snare muddy etc.? So again I reinforce that you cannot expect to achieve exact results as a mastered track but it is a good tool, a guide to getting closer to your ultimate mix aspirations with limited expense and equipment. When people mix they usually have their own workflow, most people get rough balances together (akin to a monitor mix) as they are programming or recording their takes. However some people may prefer to work on the creative side getting their musical ideas together and leaving the mixing as a separate task at the end of the composition and creative arranging sessions. On the other hand some people mix as they go, finding that good relative balance is key in performing good takes and knowing how much room there is in the track for additional melody, phrases and sonic textures. I will approach how to use a reference track for those who have a rough mix ready and for those who are just starting programming or arranging a new track. *At this juncture in the entry I will recommend not mixing into a limiter on the stereo master output. Mixing into a limiter will negatively affect every judgement you make whether it be equalization, dynamic control or fader movements. I believe that mixing with a free stereo bus (or a very gentle compressor with 1 – 2dB gain reduction) is by far the best way to progress your mixing skill, production by production. There is not a problem in popping a limiter on as you approach the end of a mix down to see how it responds, though as a general rule don’t mix into a limiter. Use of reference when the track has been started or an unsatisfactory mix is evident. You have a nice collection of instruments and recordings and your performances sound great and now it is time to mix. At this point you need to import your references into your digital audio workstation. Create a new stereo track and import the reference. If the reference track you have imported looks rather like a brick waveform (heavily limited in mastering) please pull down the level by 12-14dB either on the fader or using clip gain. With regards to your own mix I will make the assumption that you have a mix that is bobbing up and down somewhere between -14 and -2dBFS on your stereo output meters. The next process is to play the reference track in your DAW and adjust it’s level so it matches the volume of your own mix. This is very important, spend time to get the reference very close to the perceived volume of your own mix. Do this by ear not by looking at metering. Once you have your mix and the reference at the same level you can start to listen to the differences between your mix and the reference. Start with the bass levels, try and adjust your bass content within the realms of your own mix to approximately match that of the reference. This will get you into the ball park. You can check on headphones and your speakers for an extra check. Then you can start to consider other areas of the spectrum, mid-range and high frequencies. Obviously it is beyond the scope of this entry to teach people how to equalize and compress individual tracks so an assumption is made that these basic mix processes are understood. Using a reference before you start producing a track. I will assume you are following the advice in the link above, once you have the bass and drums in place (peaking hopefully at around -12 / -10dBFS on your stereo output meters) import the reference track and drag down the volume so it is around the same volume as your mix down. You will probably need to pull the reference down by 15dB-20dB or so to match it up to the ear. At this point you can start comparing the relative bass levels, mids and highs and overall balances to get your track into the right ball park. Mix reference track(s) will assist in getting your mix down tonal balance in the right ball park relative to a commercially released tracks sonic aperture. It can help novice mix engineers approach their mixes and help when monitoring arrangements are not optimal. It cannot replace excellent monitoring, experience and acoustic treatment but it will certainly help you get closer to the sound you desire and aspire to without much financial outlay. Happy practicing.